How will the Court’s decision in McDonnell, a decision watched by many across the country, affect the results of Sheldon Silver’s pending appeal? United States v. McDonnell, SCOTUS Case Page. United States v. McDonnell, 792 F.3d 478 (4th Cir. 2015). John Riley, Sheldon Silver’s Prison Surrender Delayed by Two Months, Newsday (May 18, 2016). Kaja Whitehouse, Judge Gives Sheldon Silver Two Extra Months of Freedom, NY Daily Post (May 18, 2016). Corinne Ramey, Sheldon Silver Seeks to Remain Free Pending Appeal, Wall Street Journal (May 13, 2016). 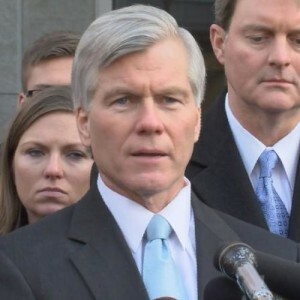 Bennett L. Gershman, Corrupt Acts, Political Favors, and the McDonnell Case, HuffingtonPost (May 11, 2016). Anjellica Cappellino & John Meringolo, The Silver Verdict: Conviction Amidst Juror Struggles in High Profile Deliberation, PCJC (Dec. 10, 2015).